Make a wish – Tehran. I already posted about Loulou d’Aki and her great project Make a wish, presenting Make a wish – Gaza. Make a wish is an investigation about the dreams and visions of a selection of 21st century youngsters. The project took place in Istanbul, Gaza, Cairo, Sana’a, Tehran, Jerusalem and Naples. 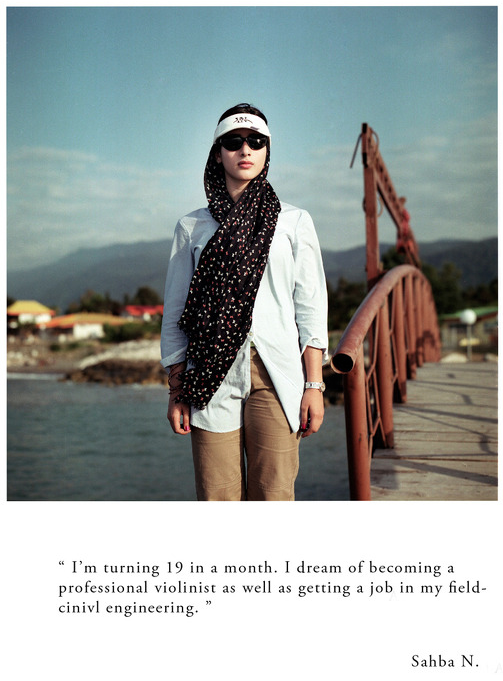 Today – it’s time to see what young people in Tehran dream about and wish for. 18-year old Sahba Nikraftar from Rashd spends the weekend with her family by the Caspian sea. Dorna is an art student. She does not feel free in Iran and studies German so that she can eventually continue her life in Berlin. 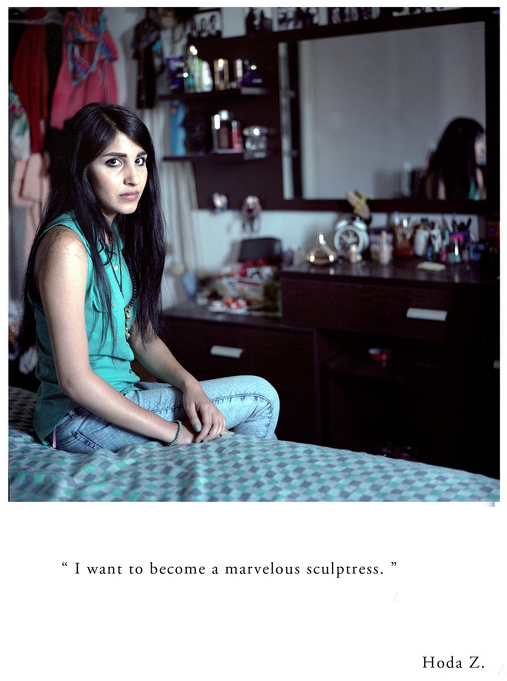 Hoda Zareei from Ekbatan neighborhood in southeastern Tehran studies sculpture at the Academy of Art. 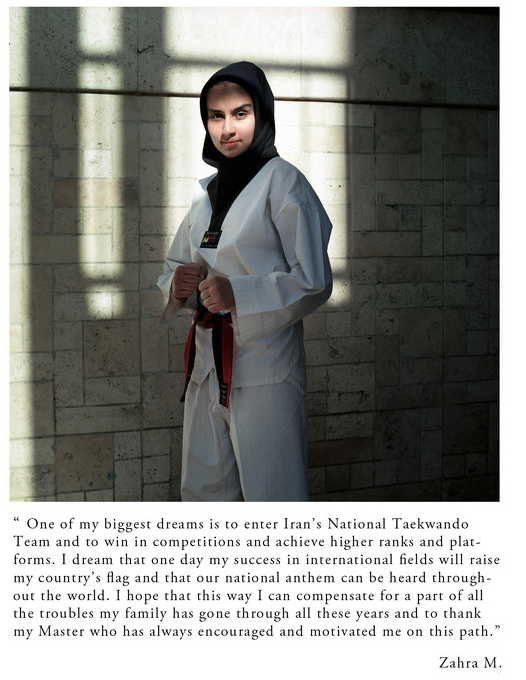 16-year old Zahra is a Taekwando championess from Karaj, northwest of Tehran. 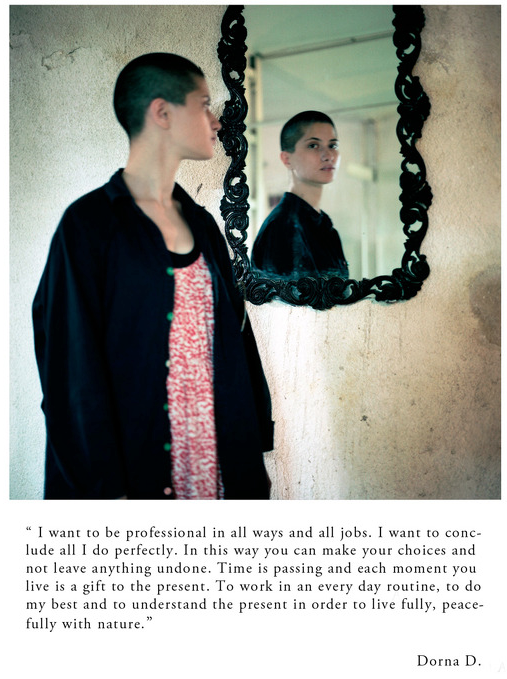 She started practising the sport when she was 9 and has continued ever since with the support of her family. 15-year old Cyrus is the only son of renown fashion designer Shade Parand. He lives with his mother in northern Tehran and goes to high school. 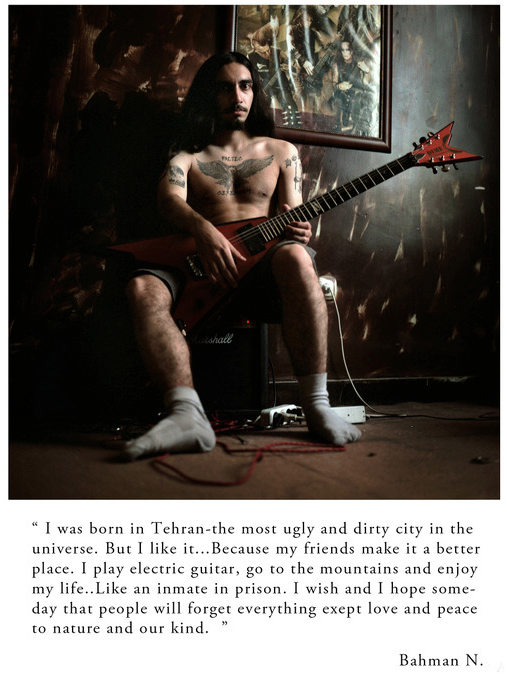 Bahman Nasifrifar is a metal guitarist without a band and a spiritual Toec believer. He recently tired to emigrate to Sweden but was sent back home and had his passport confiscated by the authorities at his return in Iran. He spends his time with friends, in the mountains or playing his new guitar patiently awaiting the day his passport will be returned to him so that he can try to leave the county one more time. For more on d’Aki and her projects, go to her official website. → Remembering Sadako Sasaki: She just wanted to live. ← First writing since (Suheir Hammad).